Researchers Jeff Fera and Dr. Trevor Jones discuss the current Operational Biomass Harvest Study. 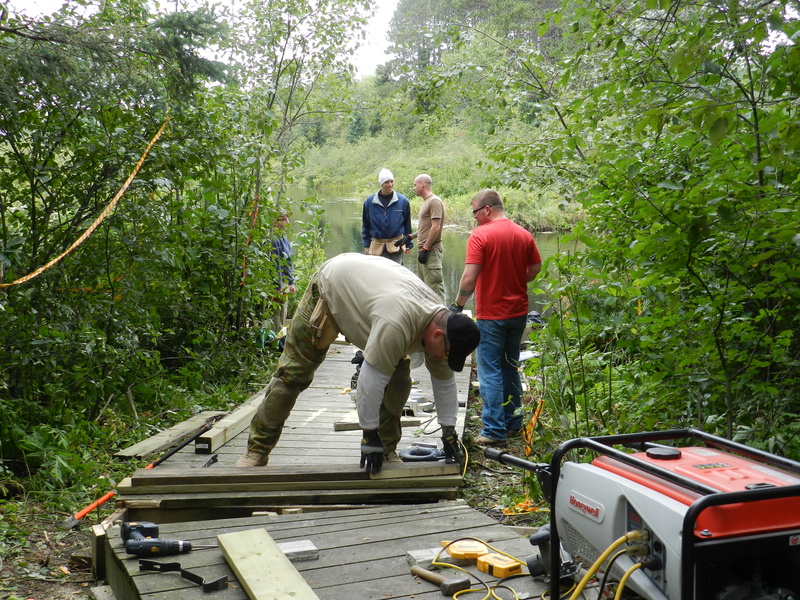 Volunteers from the 450 Tactical Helicopter Squadron at Garrison Petawawa repair the boardwalks on the PRF Water Trail on August 7, 2013. 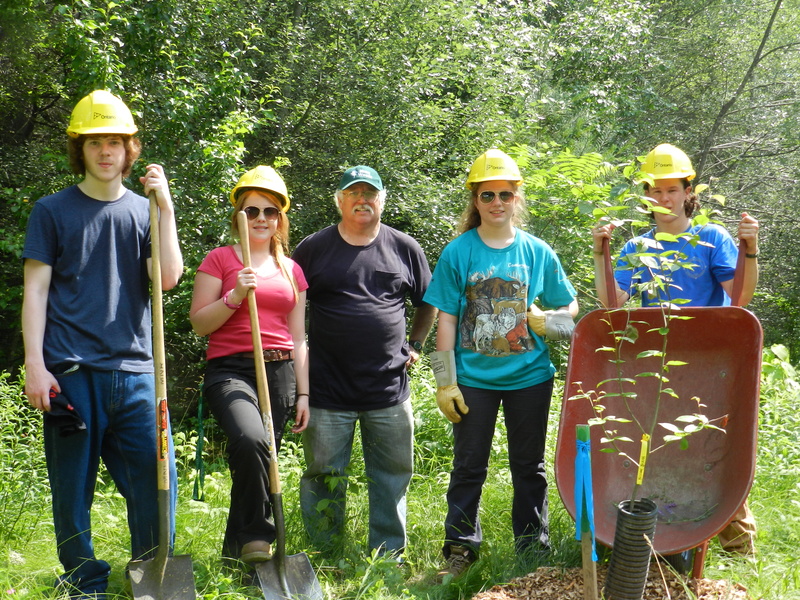 Ontario Stewardship Rangers Luke Horton, Addison Lemkay, Nichola Yaraskavitch, and Rory Whalen help Robin Cunningham plant and maintain trees at the new PRF Arboretum, July, 2013. 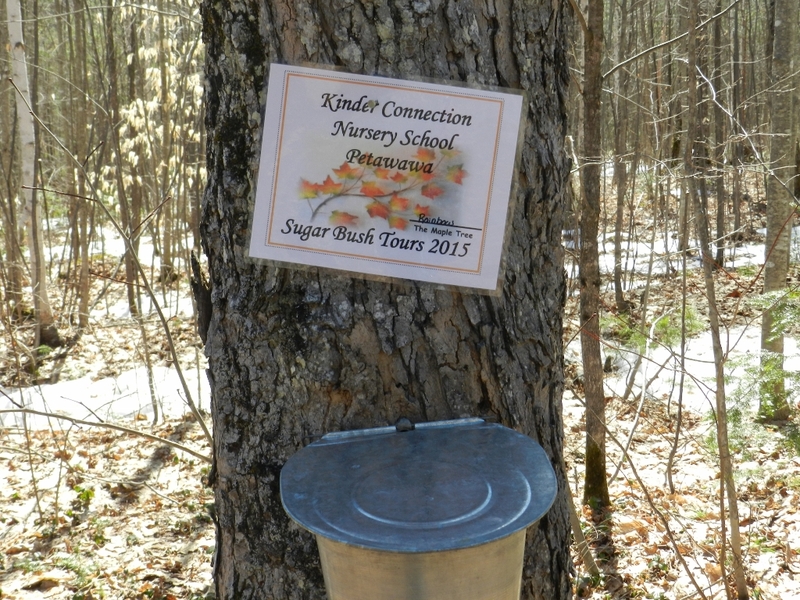 Volunteers Ian Miller and Michelle Stein operate the sugar bush at the PRF in spring for children’s groups. 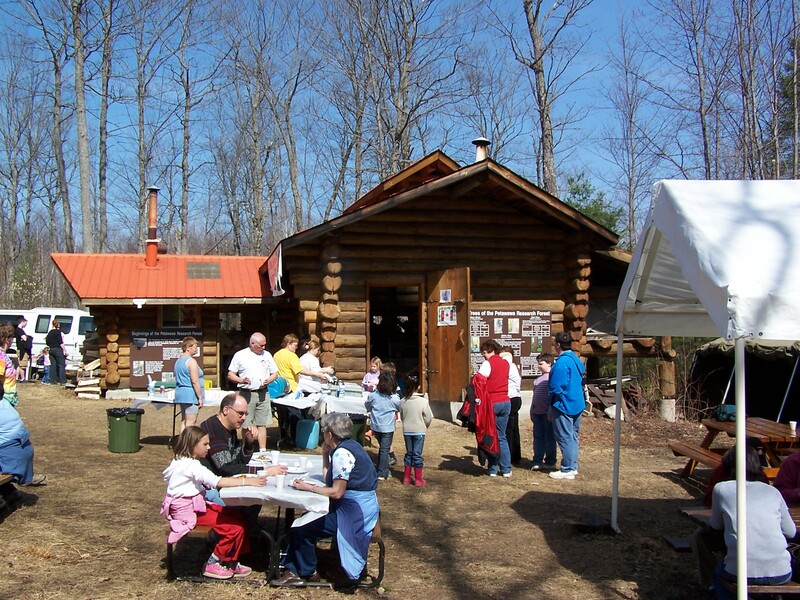 The Chalk River & Area Lions Club will be cooking at MAPLEFEST this year! 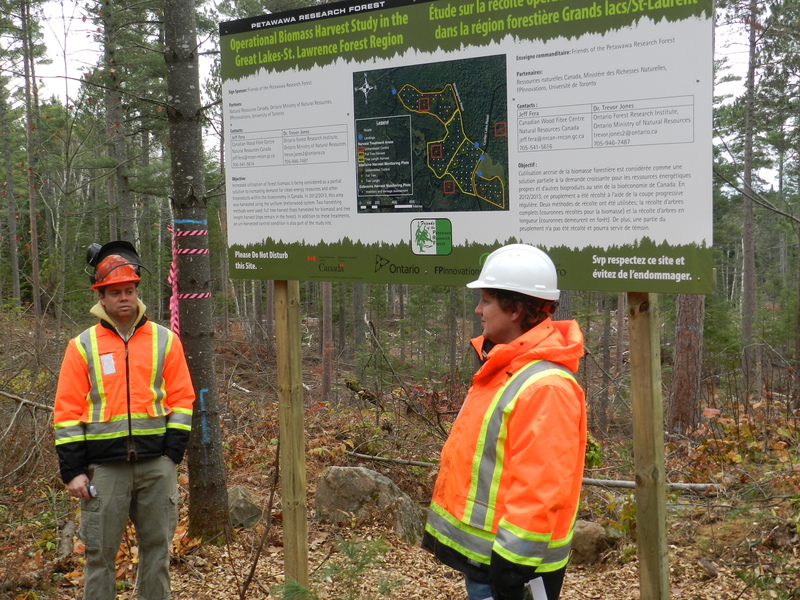 The public is welcome on Sunday, April 13, 2014, from 10am to 1pm, at the Petawawa Research Forest Sugar Bush. 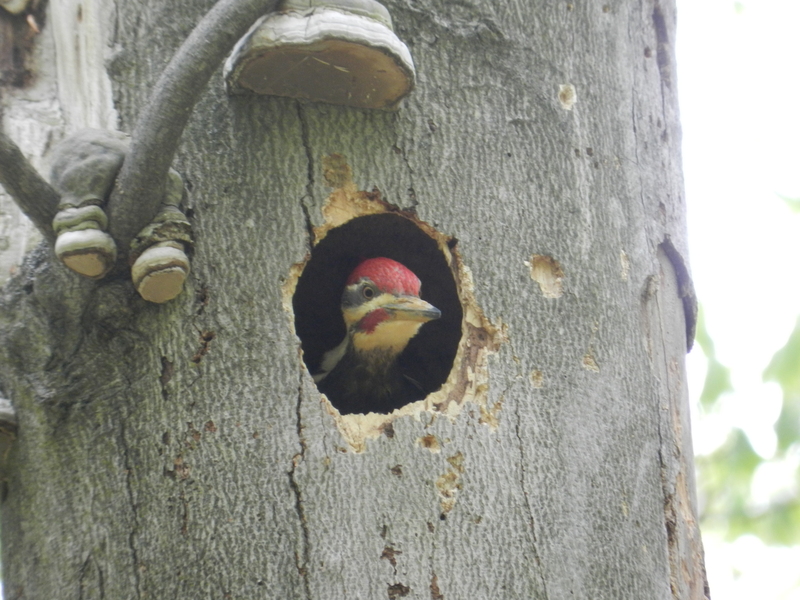 A Pileated Woodpecker looks out at people attending the Forest Birds Workshop held at the PRF in May. 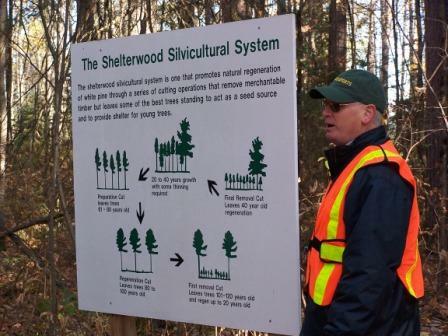 Woodlot owners learn about protecting bird habitat during forest management activities.